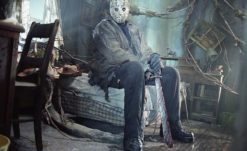 Despite getting wrapped up in an IP dispute that’s preventing them from adding additional content to the game, developer Gun Media has revealed an all-new Collector’s Edition of Friday the 13th: The Game. 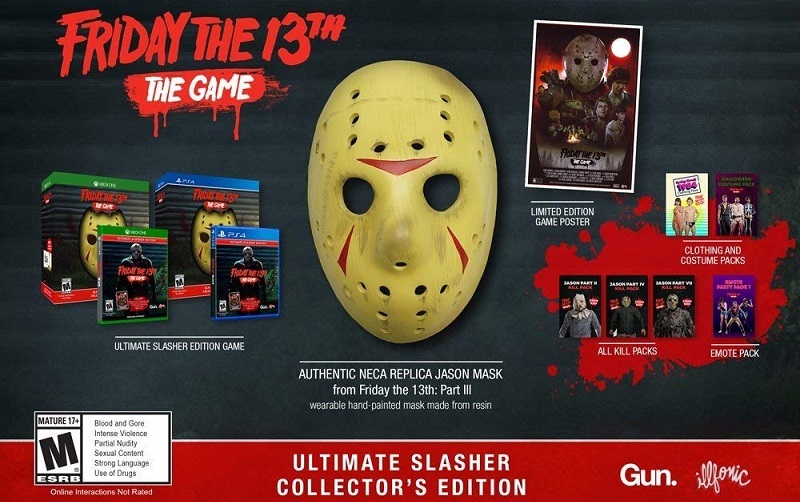 The Friday The 13th: The Game Ultimate Slasher Collector’s Edition is available for pre-order now on Amazon for $69.99. For fans looking upon this release with some cynicism, it is worth reiterating that Gun Media and Illfonic announced that while no new content can be added to the game, they’re going to still support it with updates and dedicated servers. Fans are of the mind that the game’s servers may be shut down, and that does not appear to be the case. With over a year of post-release support via free game updates, I’m inclined to think that the teams involved won’t simply abandon the game while people are still actively playing it.